Open up My Computer and right click on the C drive and click on properties. 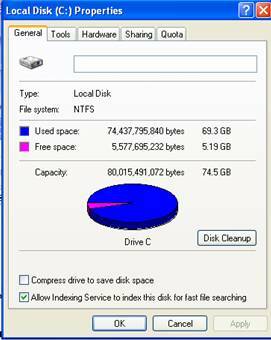 This is the screen you will see and it will show the capacity, free and used space on the hard drive. 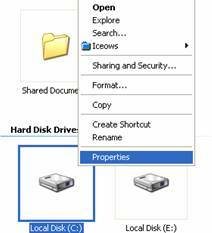 To find out CPU, OS and RAM go to the Control Panel and click on System Icon.